Have you ever wanted to create the ultimate kitchen that could rival that of a top chef? It would be filled with all the best kitchen essentials you could ever need to cook all of the food you could ever want. With the rise of millennials choosing to cook at home instead of dining out, we can only imagine that a lot of you are reading this and nodding your heads in agreement. For us, cooking has become akin to meditation. It's a truly enjoyable pastime that relieves us from our screens (which now takes up half of our waking hours) to create delicious food that allows us to connect with others at a dinner table. The New Year is a perfect time to reorganize your kitchen and set it up for cooking success. If you aren't sure what to invest in (us either), then don't stress. We've got you covered. We asked several of our favorite top chefs to share the best kitchen essentials that are worth your money and why. 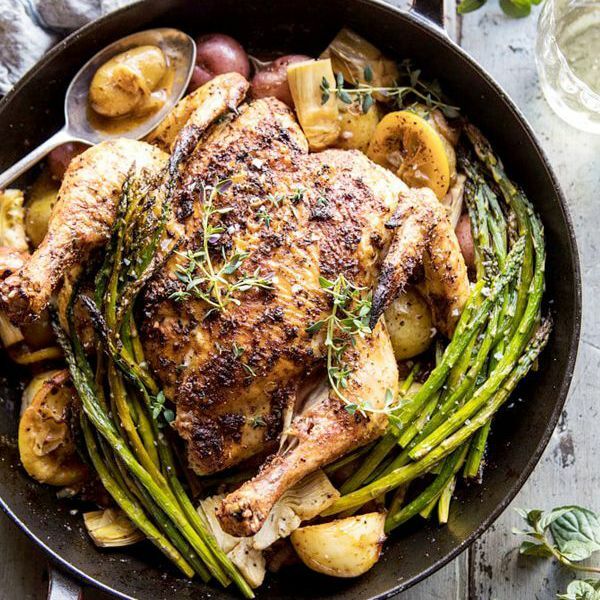 Read on to find out what you should buy now so your next dinner party is a total dream run. 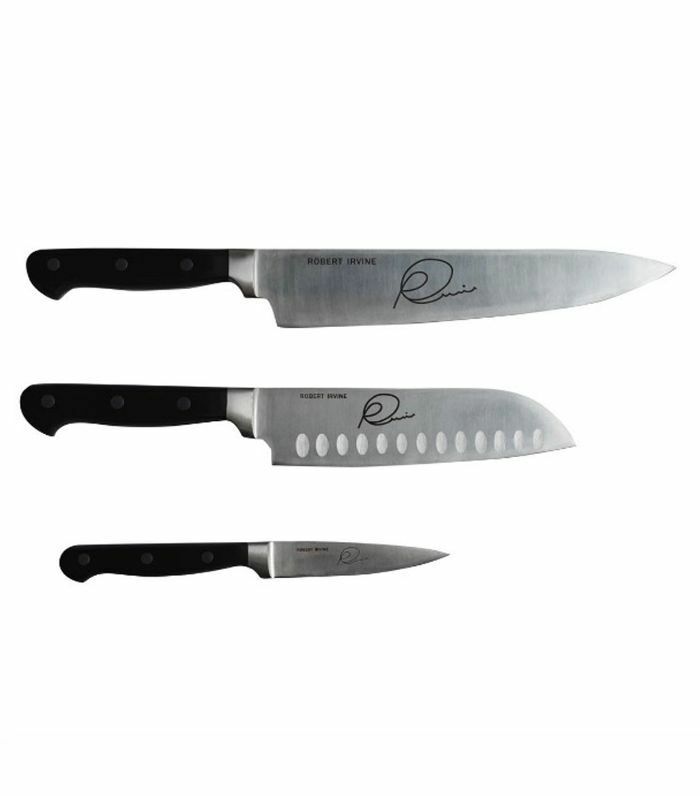 "Sharp knives are by far one of the most important tools in a chef’s collection. They are the heart of the kitchen. For Japanese cuisine, the length of time a chef holds and works with a knife is relatively longer than for other cuisines. That makes the balance and feel even more important. Also, knives are traditionally considered sacred in Japanese culture. Japanese chefs believe our soul goes into our knives once we start using them." "Every kitchen should have three kinds of knives: a chef's knife for chopping and slicing, a smaller all-purpose knife for vegetables, and a paring knife for holding food with one hand and cutting with the other. A good rule of thumb is to pair the size of the knife with the size of the task. Need to cut up an entire chicken or large melon? You’ll need a long chef’s knife that can reach through the entire diameter of whatever you are trying to cut in one slice,” said Chef Irvine. Trying to dice an onion or slice a squash? A smaller/shorter blade, like a santoku, is perfect for this job. "One of the things about cooking at home that's frustrating compared to cooking in restaurants is the lack of being whimsical. At home, we don't normally have the breadth of ingredients at our fingertips that we have in restaurants. Also, we don't necessarily have as many pieces of equipment. 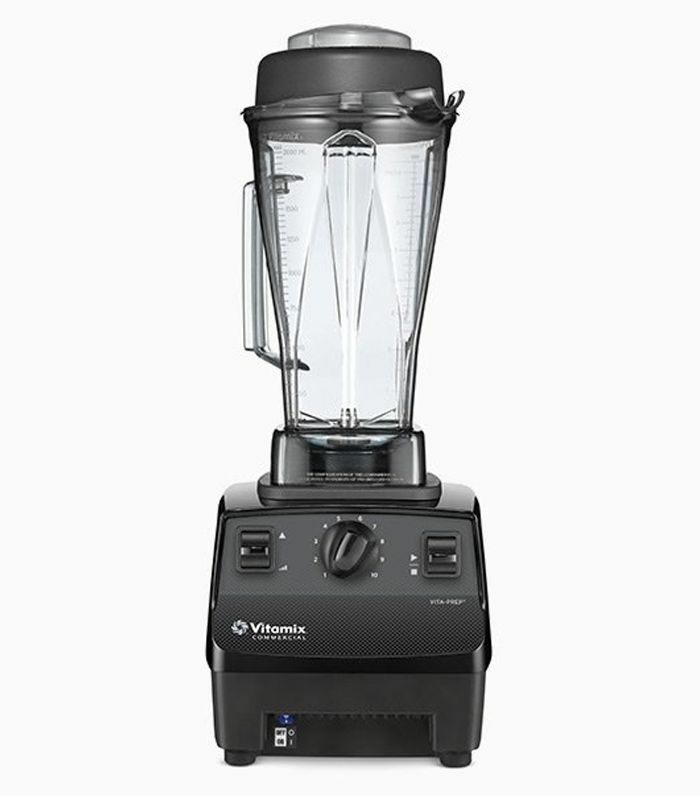 I always have a Vita-Prep, so I have a powerful machine to purée or emulsify. 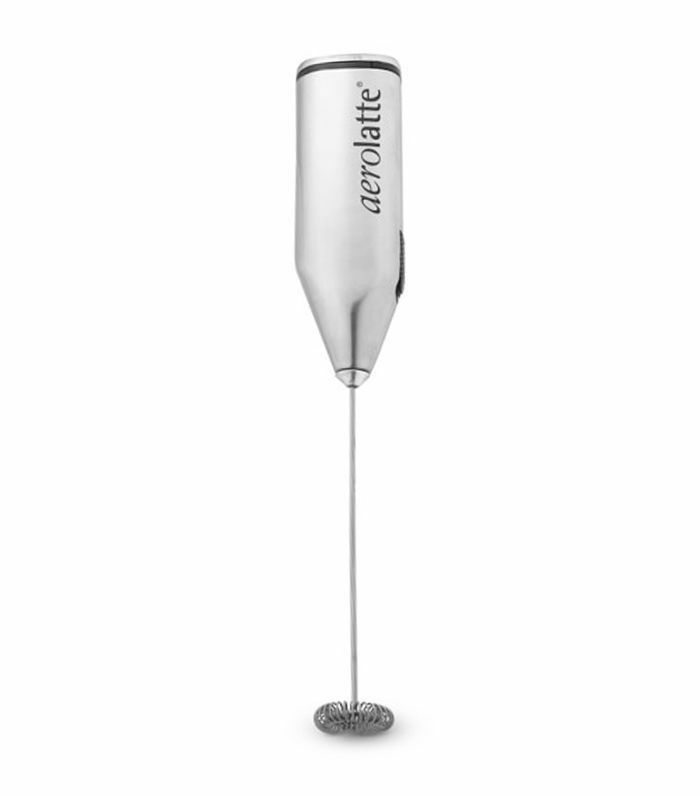 Additionally, a handheld blender acts as an important in-pot tool for the emulsion. Those two items are essential for me." "There are a few things that are necessary for the kitchen that you wouldn’t normally expect. A Japanese mandolin is a tool I use often and is a great substitute for using a knife." "I absolutely love great clad or cast-irons pans that are long-lasting, heavy duty, and just make you feel confident in the kitchen." "A spoon is such a versatile tool in the kitchen, I think that’s why so many chefs obsess over finding the perfect one. It can not only be used to taste your creations but in a pinch, it can be used as a measuring device, makeshift spatula, tongs, and whisk. Sometimes, besides my knife, it’s the only tool I use all day. The Grey Kunz Spoon is, in my opinion, the perfect spoon. It has enough heft to make it feel substantial, but still keeps a delicate quality with its shape and design." "One tool that I always have nearby is my Kuhn Rikon peeler. Not only is it great for vegetables, but it's one of my favorite uses for shaving hard cheese over salads or grilled vegetables. Also, it comes in so many fun and bright colors that make it easily identifiable in the kitchen. 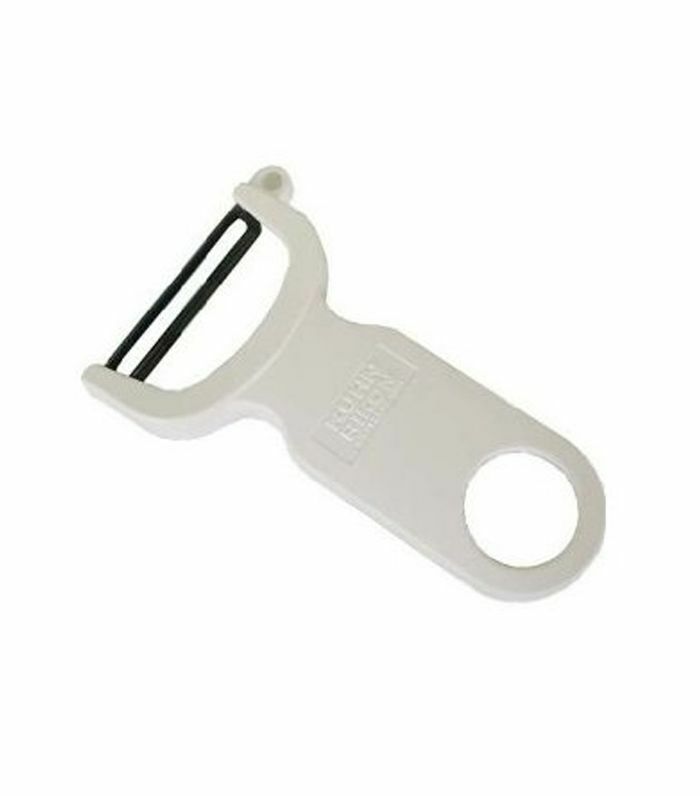 With a plastic handle and minimal design, it doesn't break the bank." "One thing that I learned early on in my career is that it doesn't matter how expensive your knife is; if it's not sharp, it won't cut. A good chef is also good at maintaining their tools and that includes sharpening their knives. One tool that I can’t do without is my 1000/6000 grit combination water stone. It quickly and safely sharpens knives. Having a sharp knife not only makes simple cutting tasks easier but also safer. Using less effort to cut something means that you're less likely to slip and cut yourself." 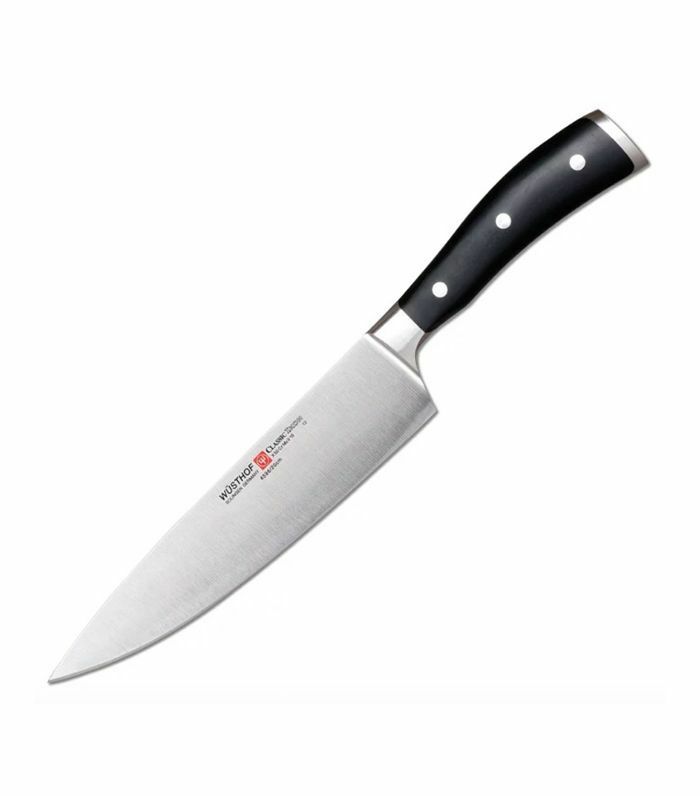 "I worked with a chef for eight years and we were only allowed to use one knife for everything: 8-inch inch Classic Wusthof Chef knife. 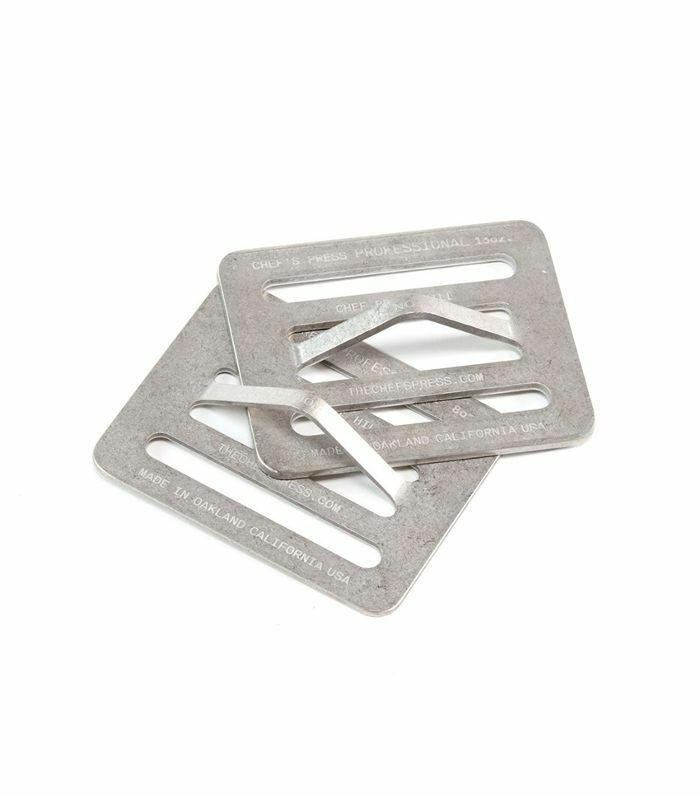 It is durable, versatile and easy to keep sharp. You can do tasks ranging from cutting fish, mince herbs and chop onions to slice smoked salmon effortlessly." "Having a good cutting board is also key. It can last generations. I prefer a heavier board that doesn’t move around as much as some lighter or plastic boards might. I also love the feel of wood and, because it is softer, my knife does not dull as fast as it would on hard plastic boards. My end grain Boos block is amazing." 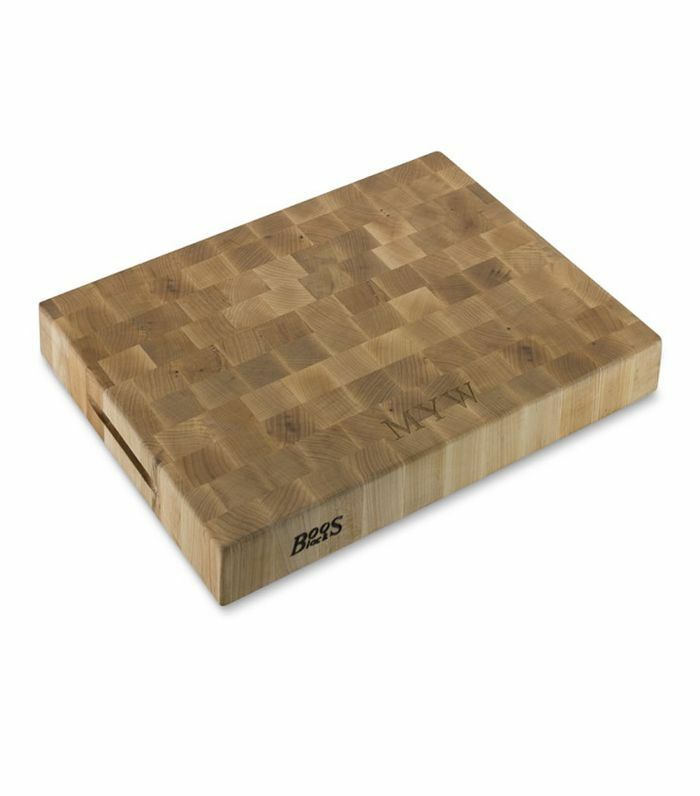 Chef Robert Irvine also recommends keeping a durable cutting board handy: "Whether it be wood or plastic, a good cutting board is very important. Try to avoid the clear plastic and thin cutting boards. Also, always place a damp towel under your cutting board to keep it from sliding around when using it." "Lastly you need something to cook in. My top choice is Le Creuset. The brand's products are durable, last forever, and are super versatile, from cooking pasta water to braising or even cooking bread in it. 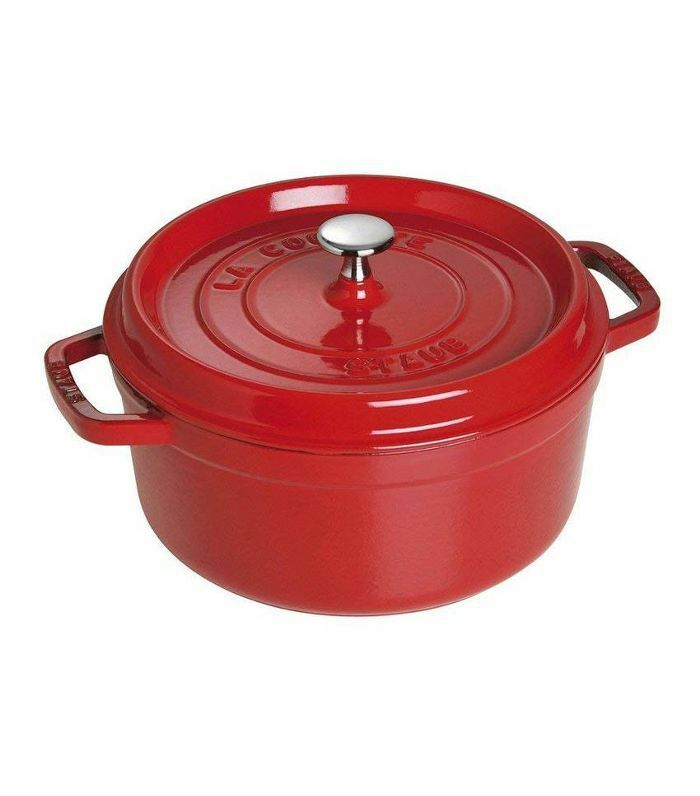 My three-quart Dutch oven is the one pot I use the most. 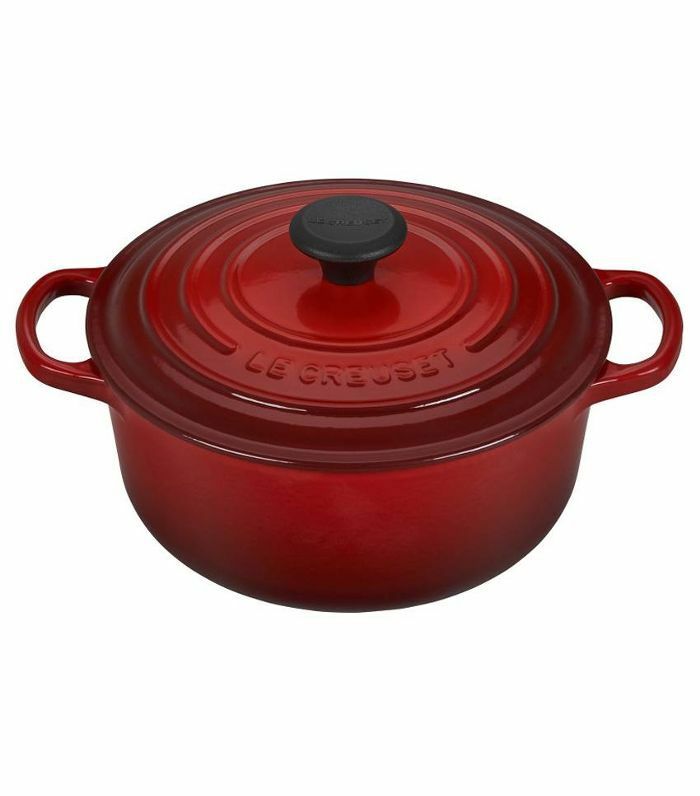 (My top tip: If convenient, The Le Creuset outlet in Flemington, New Jersey has really, really great prices on product and a great selection.)" "I too have jumped on the celery juice bandwagon. 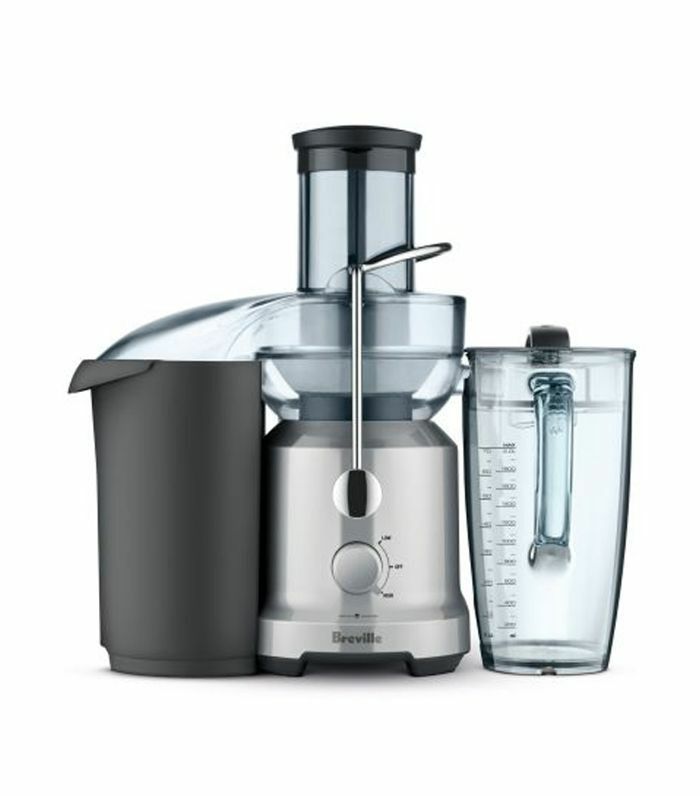 Every morning my Breville Juice Fountain Cold spins through stalks of celery, converting them into fresh, detoxifying, nutrient-rich juice with its cold spin technology." 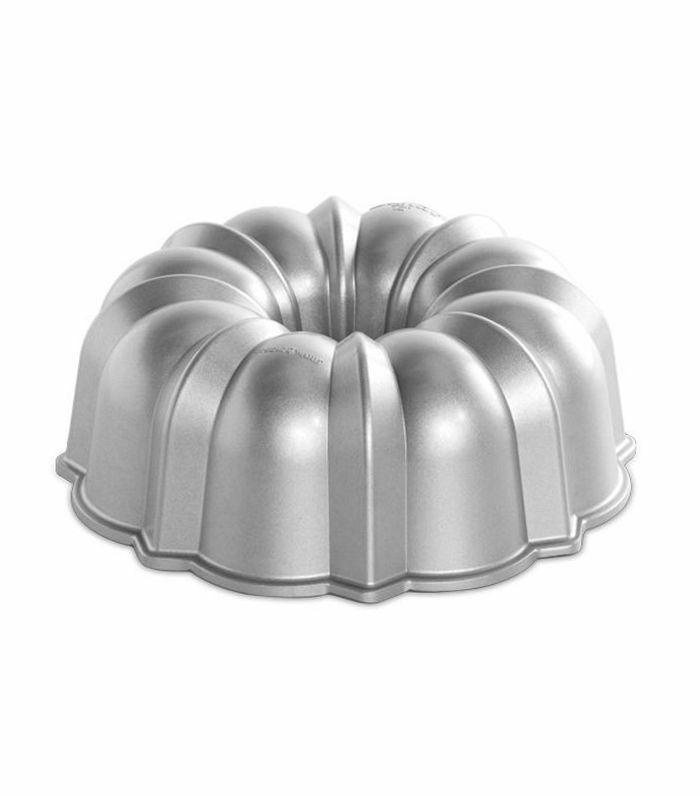 "I love the simple graphic shape of a bundt cake, and Nordic Ware bundt pans are the gold standard. 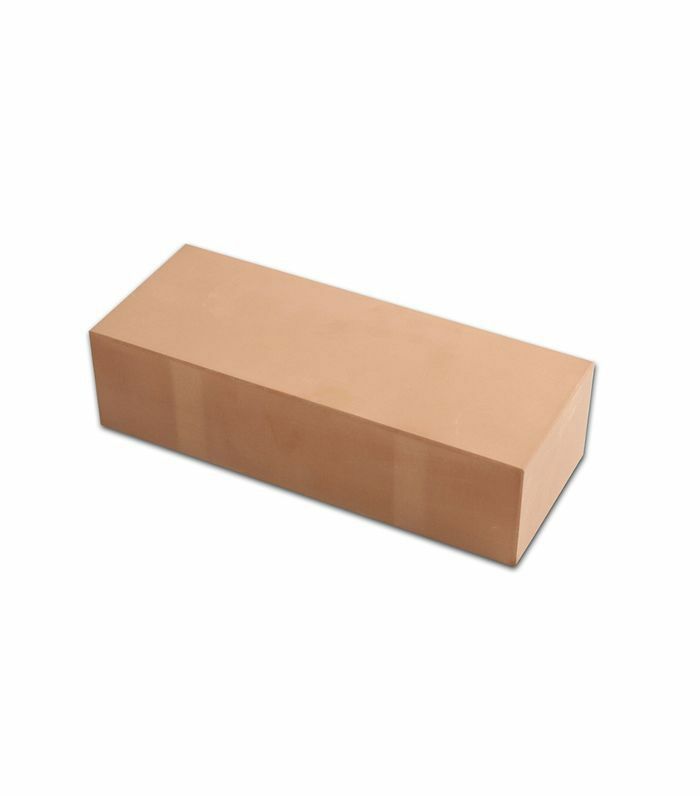 Its stunning molds shape any cake recipe into a special occasion cake without any additional work from me." 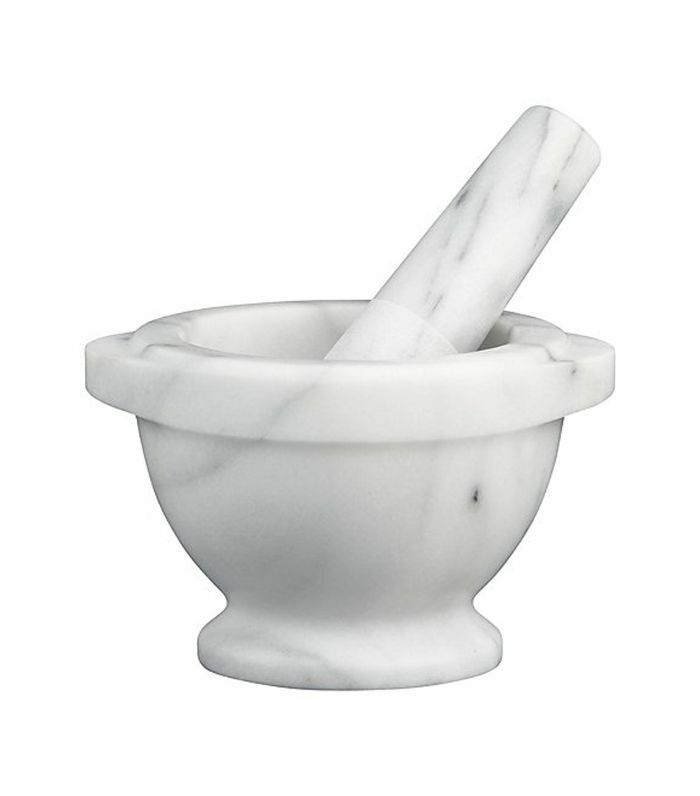 "Fresh herbs and spices are tastiest and healthiest when pulverized and consumed right away. I use this traditional tool to pulverize herbs like oregano, mint, parsley, and rosemary as well as whole spices like peppercorns, whole dried chilies, coriander, and cumin seeds. I love adding classic Tuscan flavors, like freshly pulverized rosemary, a squeeze of lemon, and a tablespoon of extra virgin olive oil to my bone broth." "We believe good-quality fats—like egg yolks, coconut milk, full-fat grass-fed cream, olive or coconut oil, grass-fed butter or ghee—are an essential part of a healthy, satisfying diet. When added to a delicious broth they create the velvety mouthfeel of a great cappuccino. 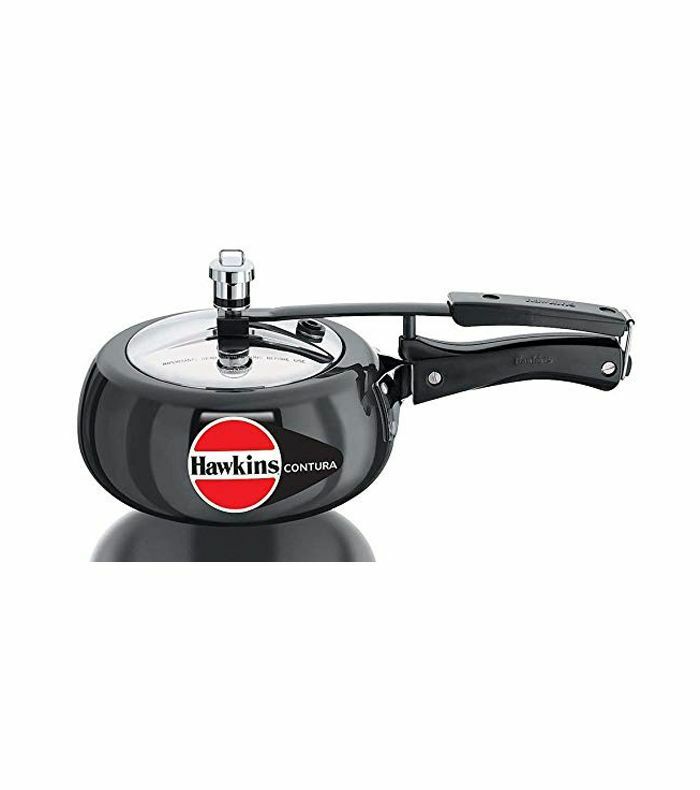 These little battery-operated, hand-held buzzers help create emulsifications distributing these ingredients throughout the broth, rather than letting them float on top." 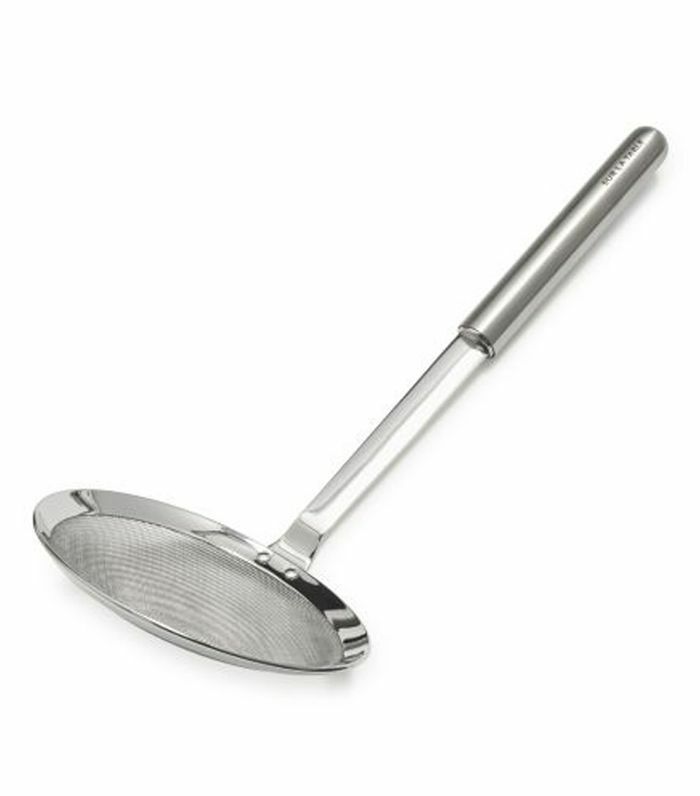 "A fine mesh broth skimmer is essential when making your own broth at home. It eliminates impurities." "Chan Chi Kee cleavers are the best. They are very versatile and can chop, julienne, butcher, and slice. We use them every day at the restaurant; they're workhorses. 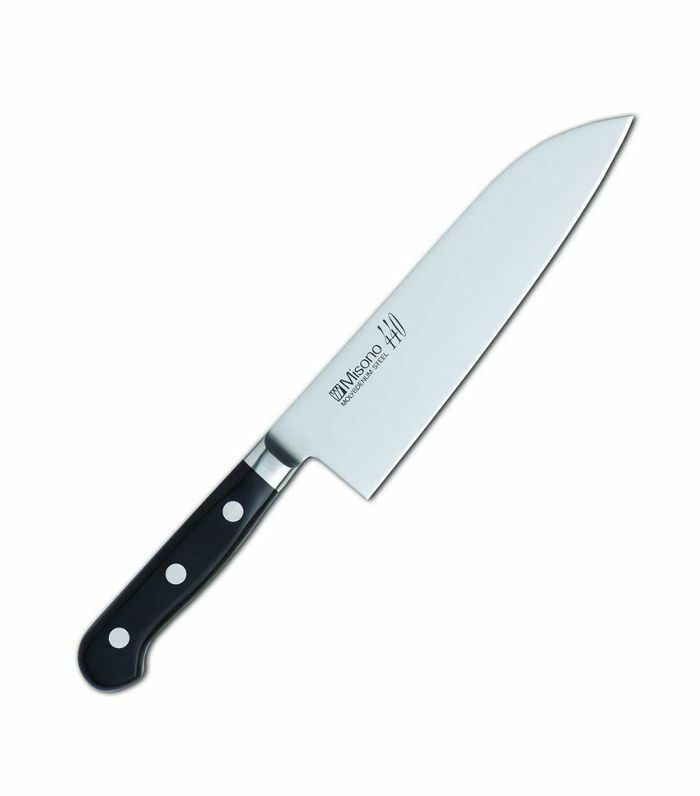 The knife is made of carbon steel so it stays very sharp, and it's easy to hone with a knife steel. Its affordable price and exceptional performance make it a kitchen must have." 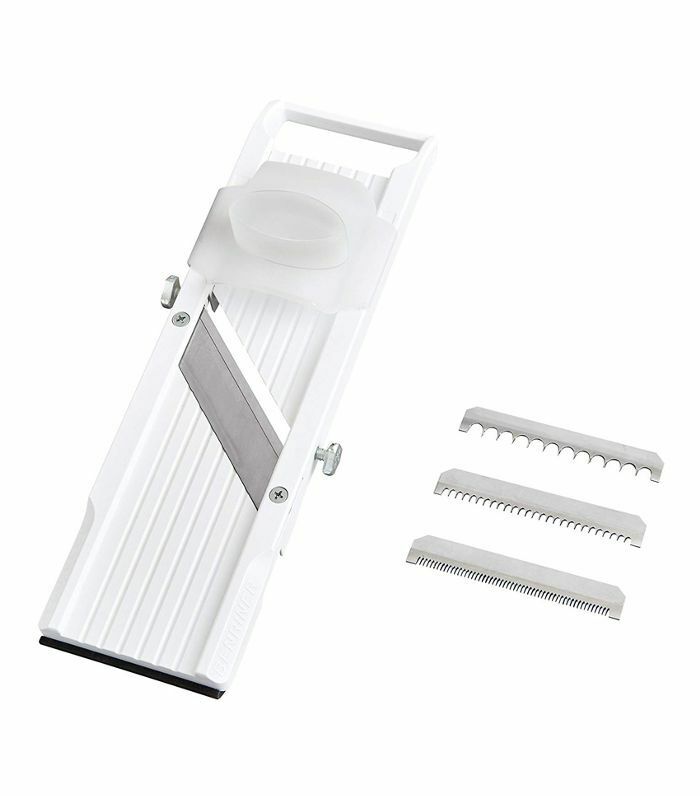 "This mandoline slicer makes it easy to slice paper-thin vegetables. We use it to slice radishes, jalapenos, and cucumbers to give us a nice consistent thin slice. It's really affordable and works like a charm. Just make sure you use two rubber gloves on the slicing hand to make sure you do not cut yourself on the sharp blade." "This is very versatile. You can cook so many dishes with it. Rice made with Donabe tastes the best. You can steam with it, make a stew with it, sukiyaki, and so much more. It’s great because you can cook with high heat and it heats up slowly and retains the heat. 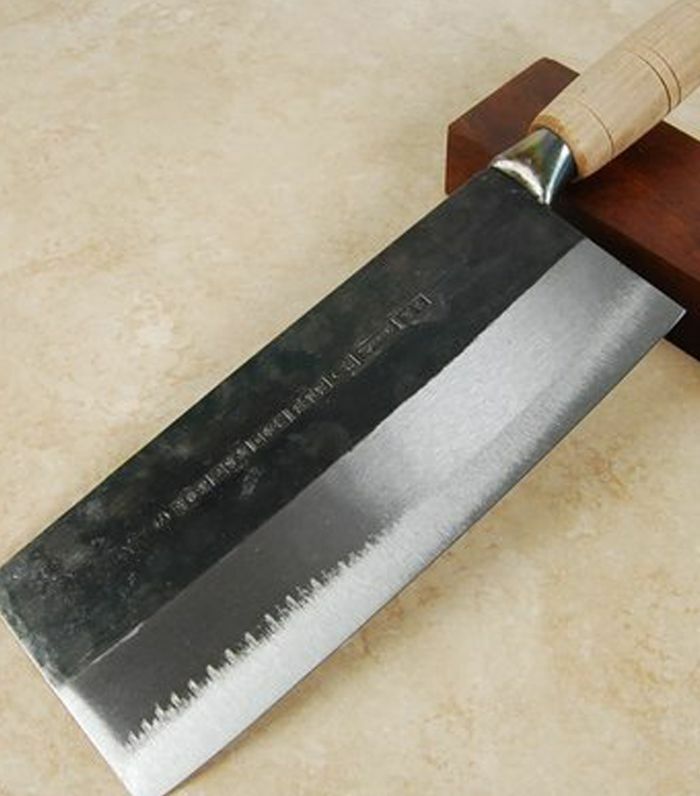 If you love Japanese cooking, this is an essential tool." 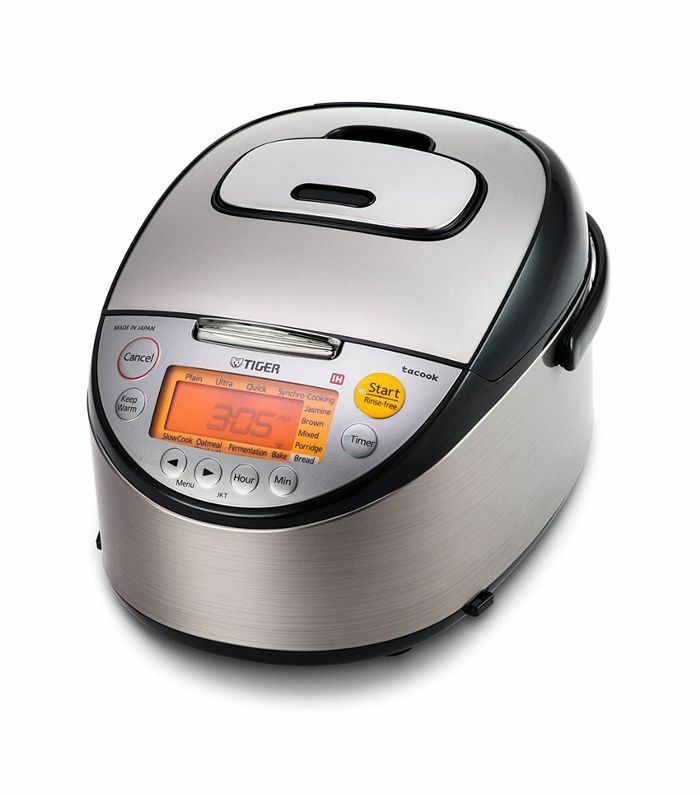 "If the Donabe looks too intimidating, you can do the same thing with a Japanese induction rice cooker. It’s better than an instant version but can pretty much do the same thing and more." "The only kitchen tool you need to cook with and plate with. 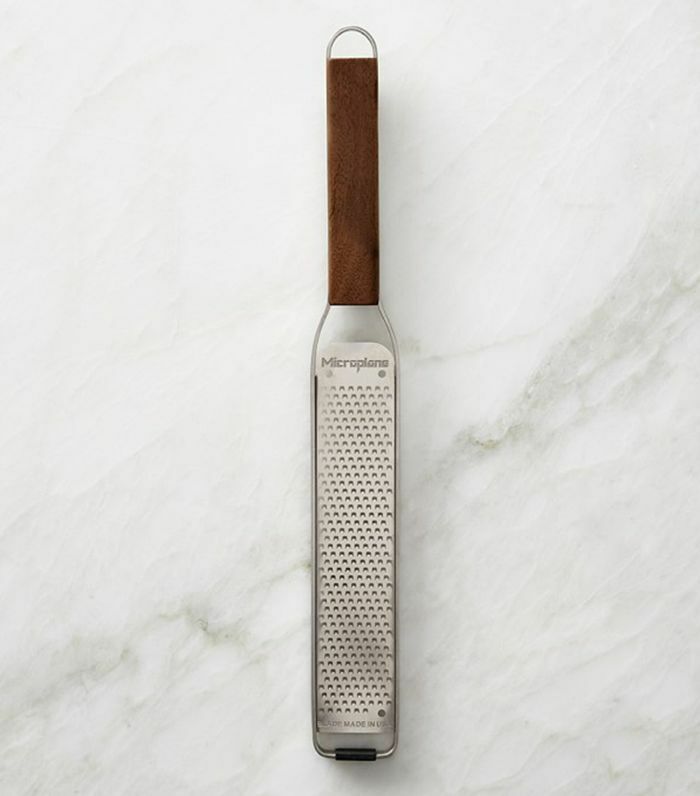 You can replace your tong, whisk, and spatula. I use it while cooking everything and only need to clean one thing. Sai bashi is cheap, but you may need a little practice because they are long, but once you get used to it, you won’t need anything to else." "A very versatile knife to use for everything. 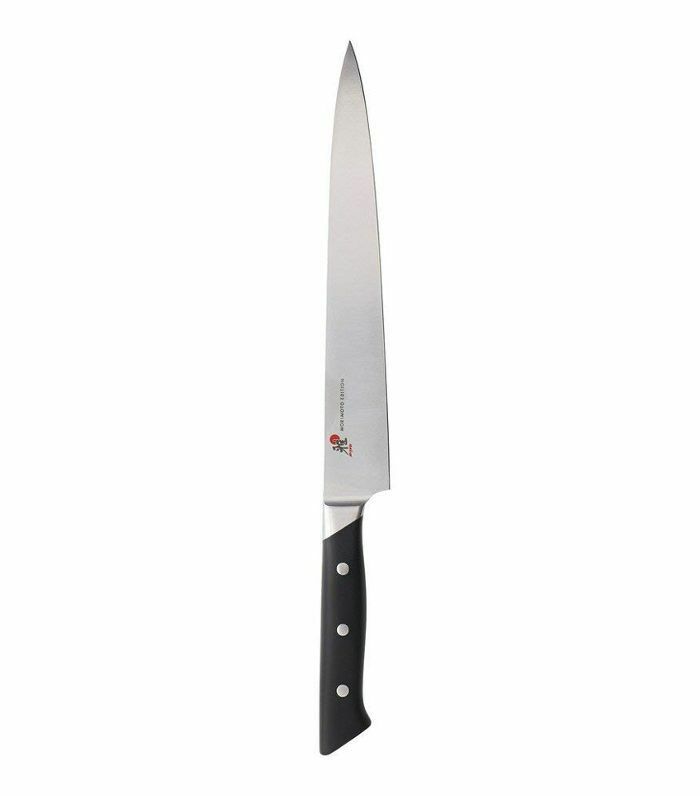 Easy to cut meat, vegetables, etc., it's the only knife you need in the kitchen. 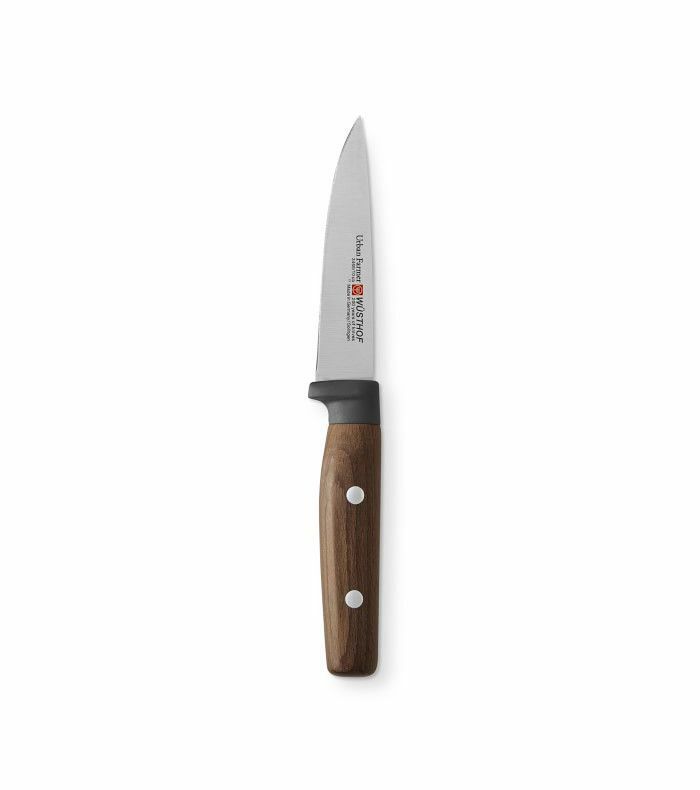 It’s more versatile and lighter than a chef's knife. At home, I just use the santoku knife. I don’t want to make too much mess. 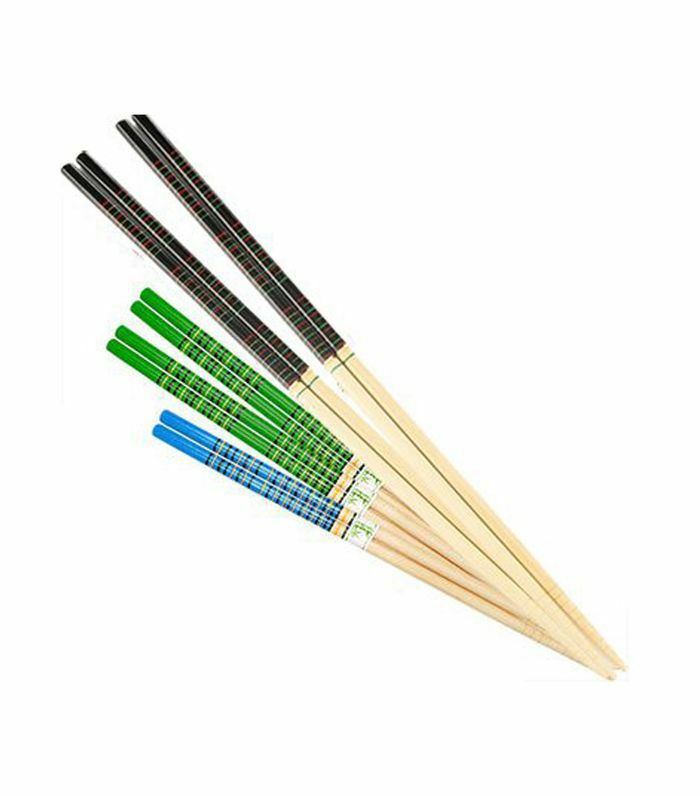 With these three items, you can cook most Japanese food at home." 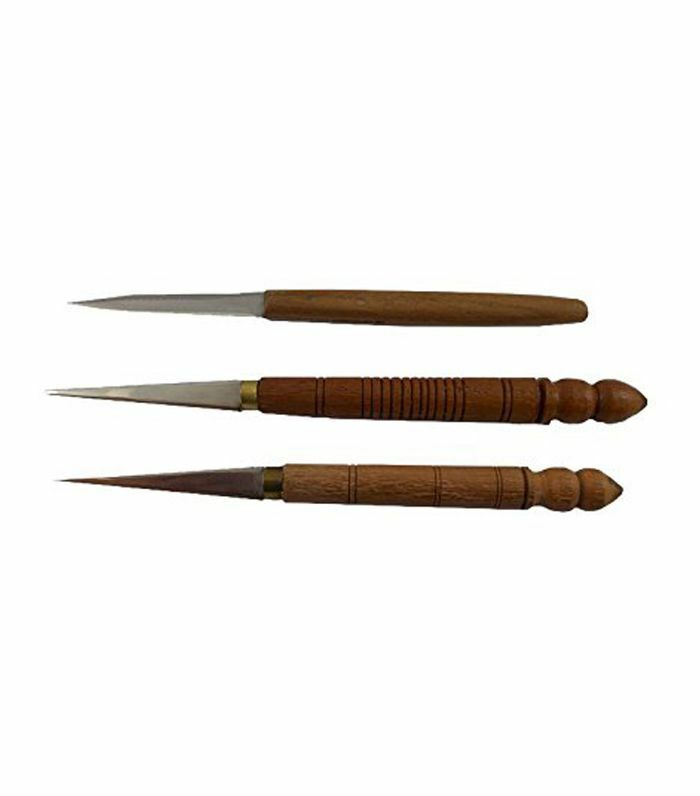 "One of my mentors gifted me a Thai kitchen carving knife that I am now using on a daily basis. I didn’t think I’d be using a small tourné knife frequently until I was given one. I have since incorporated it into my daily tools to clean root vegetables. 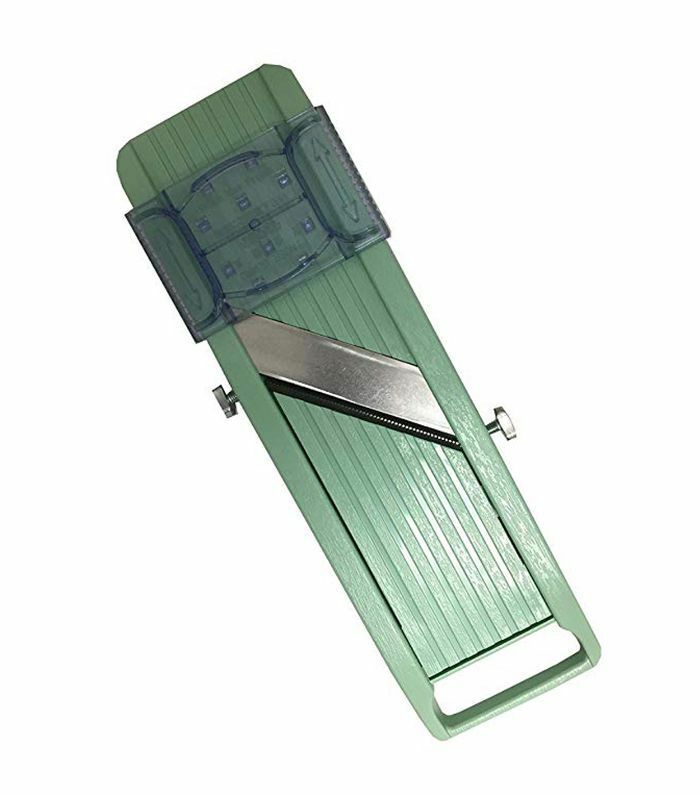 It’s a very thin-edged knife that can go around the tops of vegetables during the cleaning process. At the restaurant, we clean our vegetables well. Baby Heirloom carrots that we serve for our Crudité vegetables. We make sure that each carrot is cleaned well from neck to bottom. As well as many other root vegetables, we make sure that all of them are cleaned well. In case our readers ever go to a farmers market to buy their produce, some vegetables aren’t as clean as when you get them from the grocery store. It’s essential to clean root vegetables and many other vegetables." "When I'm on the line working a station I always make sure that I have my Gray Kunz spoon on hand. This particular spoon is dear to me because I received a special-edition Gold Kunz from one of my mentor chefs. I have had this spoon since the release of the special edition about five years ago. 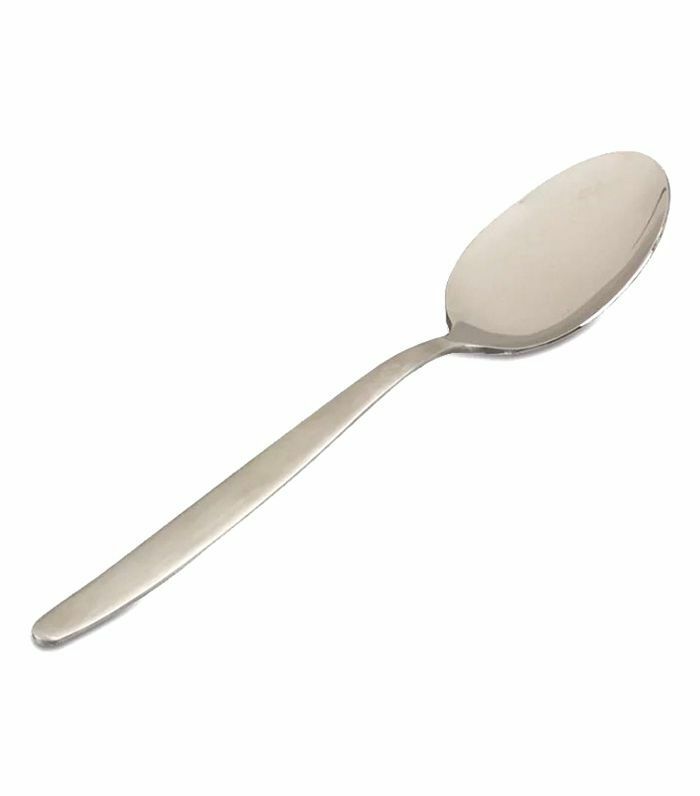 The proportion of the spoon is a little different than regular spoons. The bowl is larger, holding an exact 2.5 tablespoons and it has a slightly tapered edge. 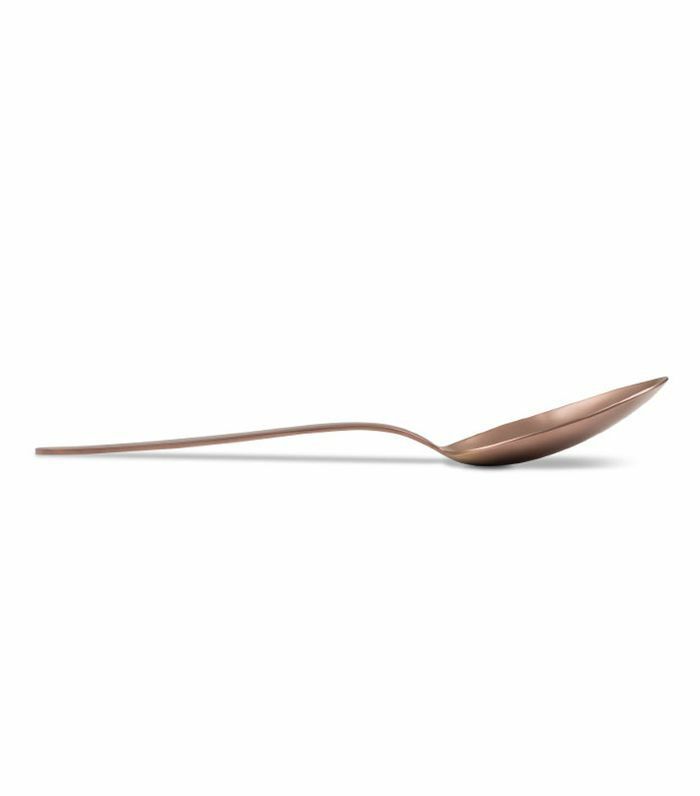 This spoon can be used for everything: saucing dishes, tasting soup, flipping, stirring, and a whole lot more. "I always have my Gray Kunz spoon available as part of my mise en place tools. I use the spoon to taste any sauces and to prepare dishes before serving them to our guests. It's always great to have a spoon ready to taste food that you're preparing for family, friends, and guests. It's important to ensure that food you're cooking meets your standards before serving it to them." 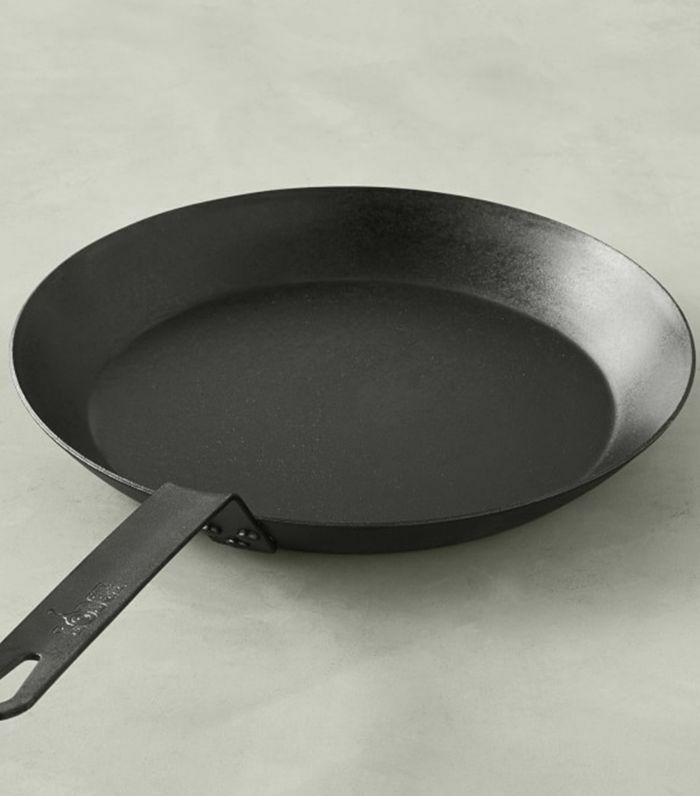 "A steel sauté pan is essential to get a hard sear on scallops, fish, and steaks. At Redbird, we use a steel sauté pan for the scallops on our dinner menu." "This is one of my must-haves for a lot of dishes. It’s great to use to get perfect lemon zest, for a bright gremolata, or as a topping for lemon ricotta pancakes. At Redbird, we use a microplane to finely grate the bottarga served on top of our shishito peppers." 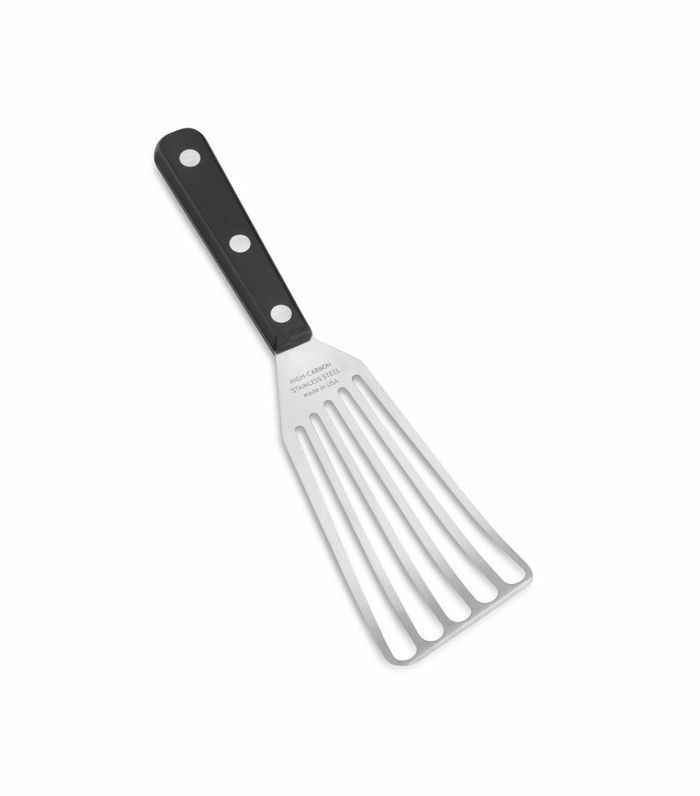 "A fish spatula is shaped differently than the average giant burger turner, granting you more control over the flip, whether that’s in a black steel sauté pan or on the grill. I use this daily for the salmon and wild striped bass on our dinner menu." 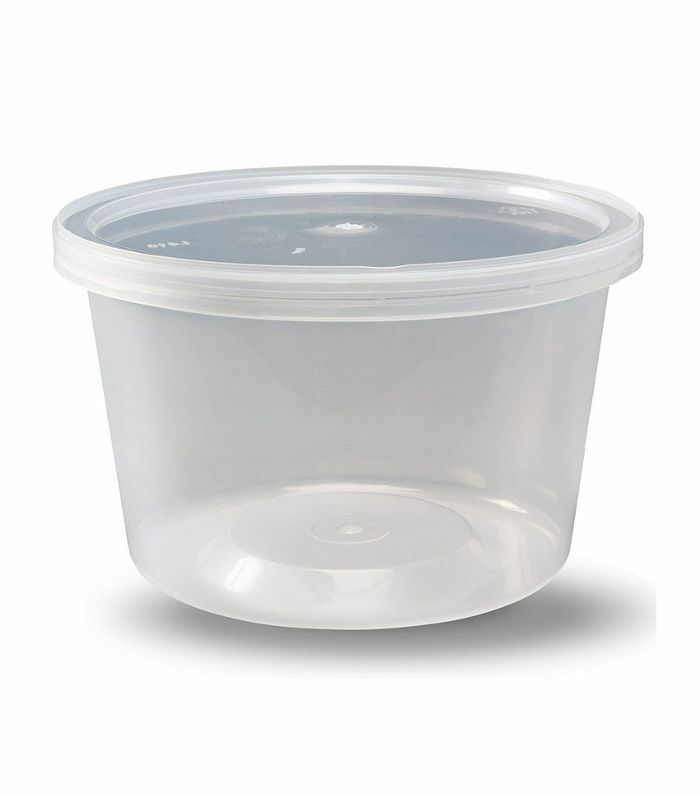 "They're not the most glamorous item, but deli containers are truly indispensable in the kitchen. We use them in three sizes—8 oz., 16 oz., and 32 oz.— and they help us save space since they stack easily, and also keep everything organized in our small space. They can also handle being washed in a commercial dishwasher, so we can get lots of uses out of them." 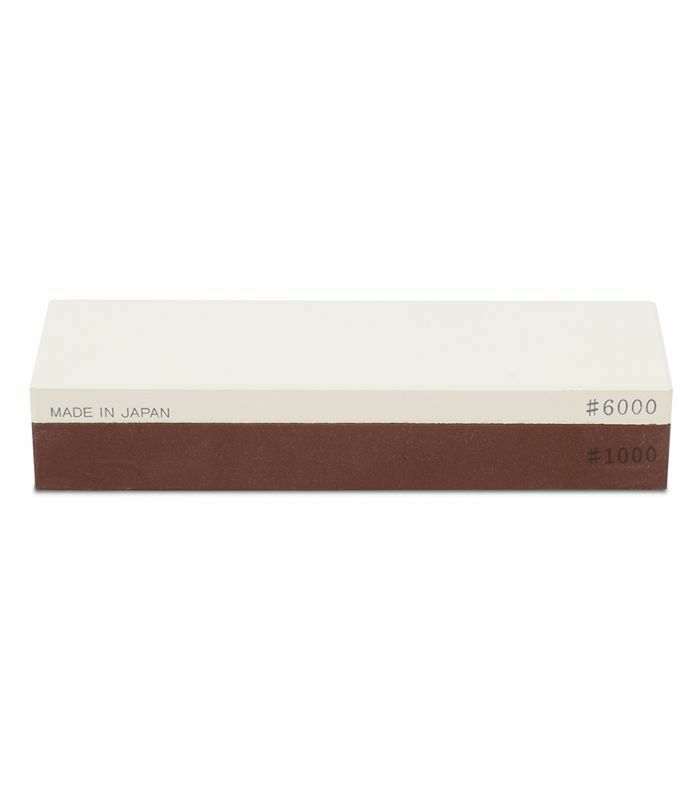 "Sharp knives are also essential, so I always keep a good sharpening stone around. I mostly work with Japanese knives, so I use Japanese-style wet stones, which do require a bit of training to use properly." "I love my Saint Peter Fish Weight as it’s one of the best tools for cooking fish. It keeps the entire surface of the fillet in contact with the pan ensuring the fish is gently and evenly cooked. This tool is sleek, modern and gets the job done." 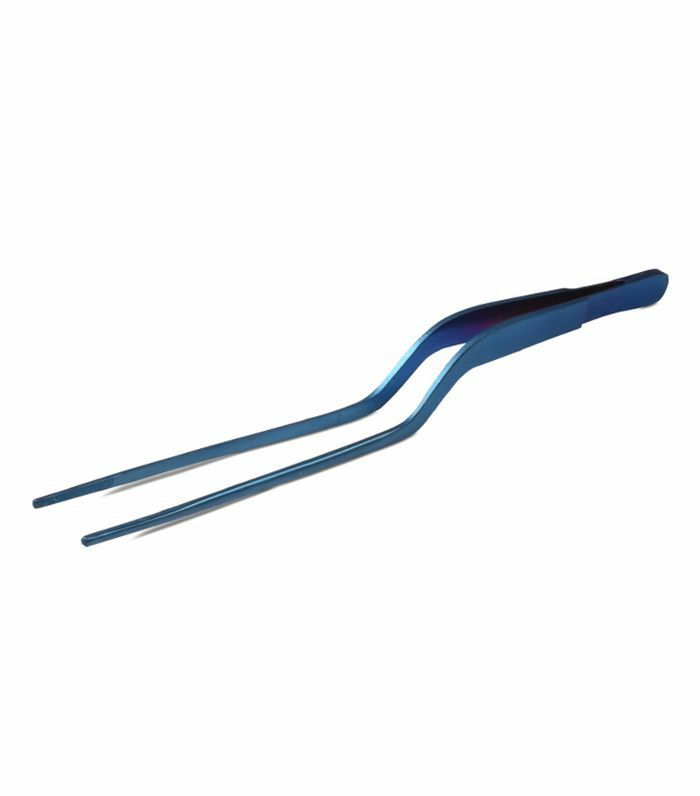 "These tweezers are an all-purpose tool for many different things from plating dishes to twirling pasta. I especially love that they come in Luke Skywalker blue." 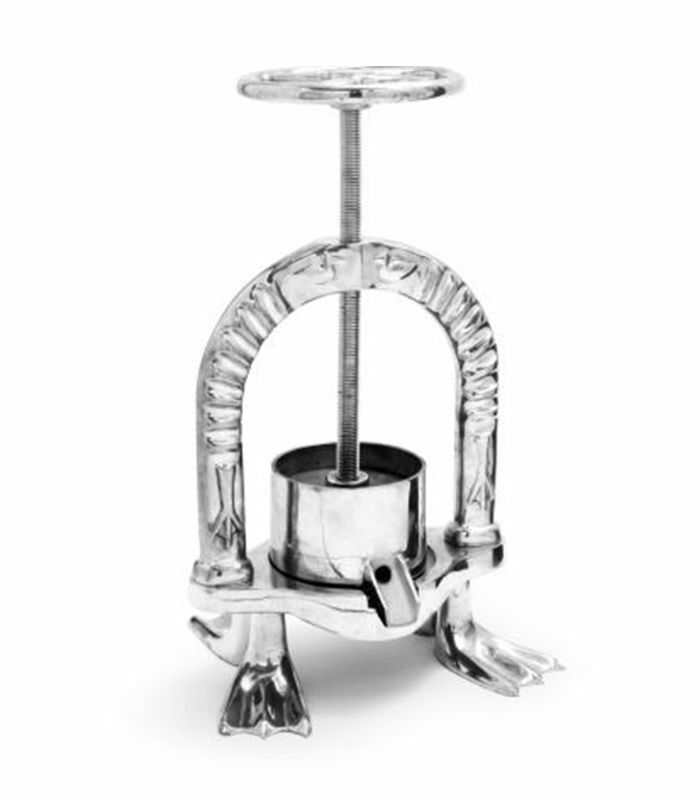 "A duck press is essential in my kitchen at République. 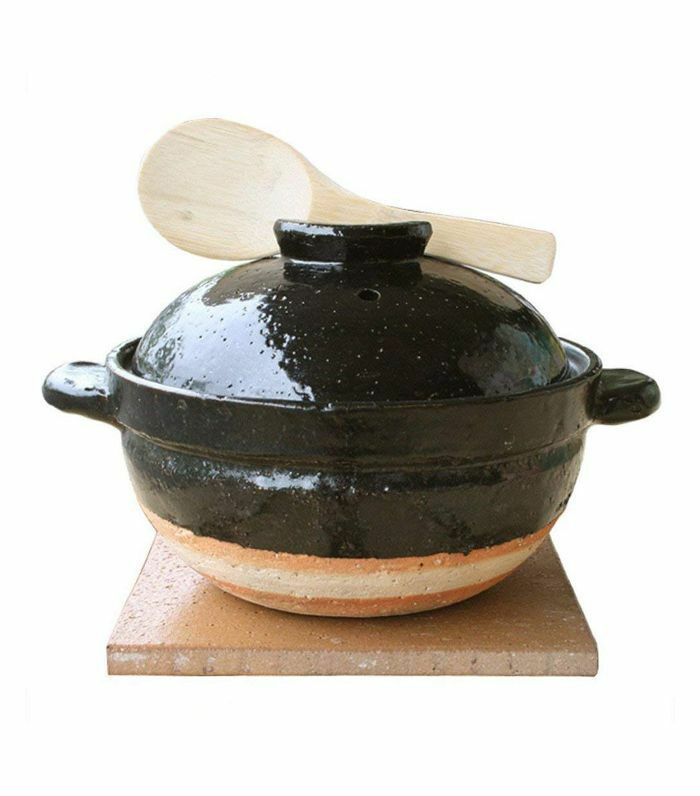 It is used for one of my favorite dishes, duck à la Presse, and we also use it to make sauces from prawns and lobster." "I love using a blender and use it daily for purées and sauces." "I enjoy a bowl of dal every day for a source of protein and boost of energy. Cooking lentils in a pressure cooker is so easy and fast. Most importantly, the lentils cook in broth with steam so they are highly nutritious and can be made without using a single drop of oil. I even use a pressure cooker for my dessert called Ras Gullah." "It makes my day easier and fast in the kitchen. One good knife takes away the necessity of having many different types."